Now in its second edition, Criminal Procedure in Canada – Student Edition explains the rules of criminal procedure in a clear, concise manner. Structured chronologically, the relevant rules and procedures are introduced and explained in the same sequence as the criminal process, offering a logical and intuitive organization. This is a student edition. 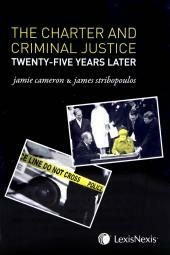 Click here for the professional edition of Criminal Procedure in Canada, 2nd Edition. 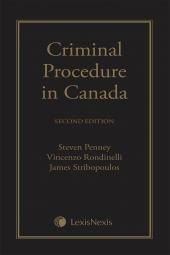 Now in its second edition, Criminal Procedure in Canada – Student Edition [SOFTCOVER FORMAT] explains the rules of criminal procedure in a clear, concise manner. Structured chronologically, the relevant rules and procedures are introduced and explained in the same sequence as the criminal process, offering a logical and intuitive organization. 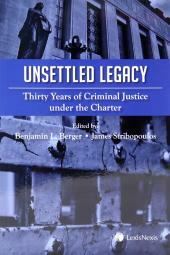 The Charter's innumerable effects on the criminal process are addressed seamlessly throughout the book. The authors' backgrounds in practice, in academia and on the bench results in a textbook that is both thorough and insightful. This book provides a comprehensive overview of the criminal process, explaining the rules of criminal procedure clearly and concisely – ideal for prosecutors, defence lawyers, law students and judges. Steven Penney, B.A. (Alberta), LL.B. (Alberta), LL.M. (Harvard), is a Professor at the University of Alberta, Faculty of Law, where he researches and teaches in the areas of criminal procedure, evidence, substantive criminal law, privacy, and law and technology. His has written numerous journal articles and book chapters, is co-editor of Evidence: A Canadian Casebook and has led many continuing education programs for judges and practicing lawyers. He has previously been Associate Dean (Graduate Studies and Research) at the University of Alberta; Associate Professor, Faculty of Law, University of New Brunswick; Visiting Professor, Faculty of Law, University of Western Ontario; and law clerk to Mr. Justice Gérard V. La Forest of the Supreme Court of Canada. Vincenzo (Enzo) Rondinelli, LL.B (Osgoode), LL.M (Osgoode), is a judge of the Ontario Court of Justice. Before being appointed to the bench in 2017, he was a criminal defence lawyer in Toronto, where he argued appeals regularly before the Court of Appeal for Ontario. Justice Rondinelli joined the adjunct faculty at Osgoode Hall Law School in 2003. In that role he long served as a Co-Director of the Law School's Criminal Intensive Program. In 2010 he received the Law School's Teaching Award for Adjunct Faculty. He is also a sessional instructor at the University of Toronto (Forensic Science Program) and developed the criminal law curriculum for Ryerson's Law Practice Program. As a lawyer, he was certified by the Law Society of Upper Canada as a Specialist in Criminal Law. Justice Rondinelli was recently awarded the inaugural Ontario Bar Association Award of Excellence in Criminal Justice. James Stribopoulos, B.A. (York), LL.B. (Osgoode), LL.M. (Columbia), J.S.D. (Columbia), is a judge of the Superior Court of Justice (Ontario). Before his appointment to that court in November 2018, he was a judge of the Ontario Court of Justice. Before becoming a judge, he was the Associate Dean and an Associate Professor at Osgoode Hall Law School. At Osgoode, he taught courses and seminars focussed on criminal justice and the litigation process in the Law School's JD Program, while also serving as Co-Director of the Part-Time LL.M. Program Specializing in Criminal Law and Procedure. Since becoming a judge, Justice Stribopoulos has remained active in legal education. Beyond serving as an adjunct professor at Osgoode, he also helps organize – and regularly gives presentations at – continuing legal education programs for both judges and lawyers, both within Ontario and across Canada. He was awarded the Osgoode Hall Law School Teaching Award in 2008. He was also the recipient of The Legal and Literary Society's 2012 Excellence in Teaching Award. Justice Stribopoulos is an Honorary Professor at the University of Alberta, Faculty of Law, where he began his teaching career. Justice Stribopoulos has published extensively over the years, with a particular focus on the Charter’s impact on the criminal justice system. Before becoming a full-time academic he was a criminal trial and appellate lawyer, arguing cases regularly before the Court of Appeal for Ontario and the Supreme Court of Canada.